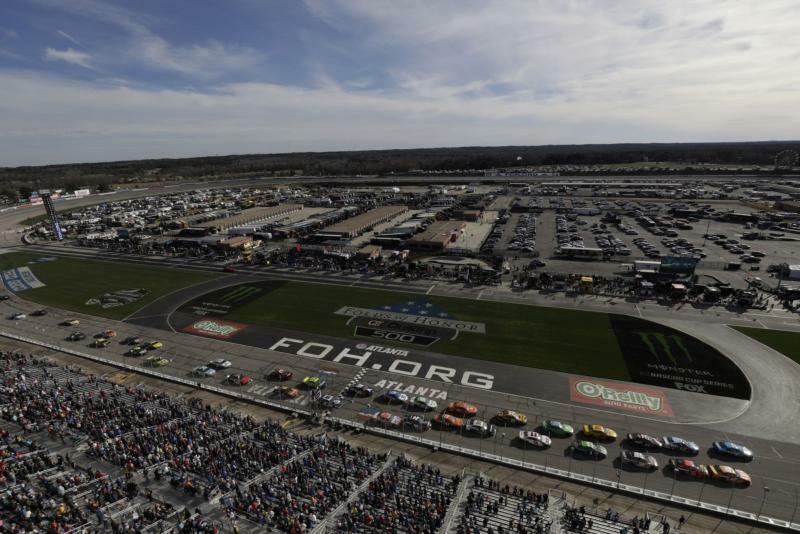 NASCAR returns to Atlanta Motor Speedway with a new date for the 2020 season. The Cup series race at AMS will be held on March 15, 2020. With the change Georgia's NASCAR weekend is now the fifth race on the NASCAR schedule and three weeks later than recent years. "This is a big win for our Speedway and its fans," said AMS Executive Vice President and General Manager Brandon Hutchison. "Our fans have been asking for a warmer race day, so taking the opportunity to move our race weekend into spring was a no-brainer. "When March 15, 2020, rolls around the flowers and plants around our facility will be blooming and our fans will be enjoying warmer, more inviting weather as we celebrate our 60th year. It's going to be great!" According to archived weather data, the average temperature on March 15 in Hampton, GA, is 64 degrees, five degrees higher than the historic average for late February.